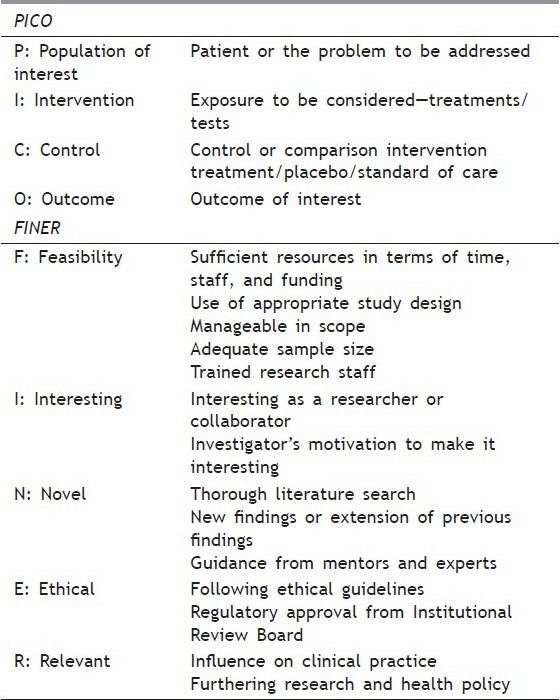 Questions that are more specific to the clinical situation at hand are called Foreground questions and these are the questions we use to craft a search strategy to search the literature. 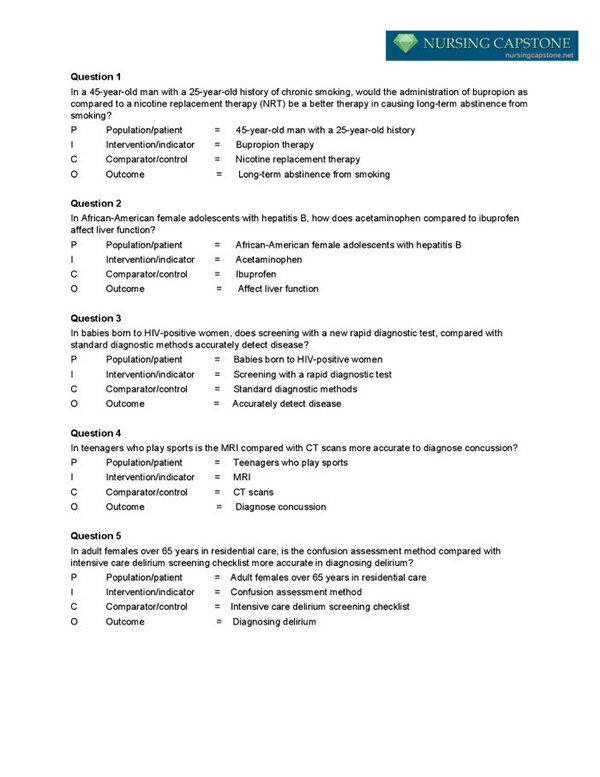 Once you have the answers to your background questions, it’s time to write a specific clinical question. Using PICO This easy-to-follow tutorial from the Librarians at the Bodleian Library at Oxford University, in partnership with the Centre for Evidence Based Medicine (CEBM), walks you through an example of turning a clinical research question into PICO format and using that to create search terms. When to use PICO? Background questions concern general knowledge. These types of questions generally have only 2 parts: A question root (who, what, when, where, how, why) and a disorder, test, treatment, or other aspect of health care.